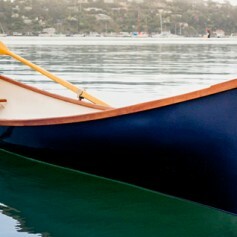 Guideboat Co. sells authentic American and European made boats and gear through their retail presence in Mill Valley, CA and through their Magento website. #10 was hired to help Guideboat Co. execute their vision in the form of a Magento eCommerce site. The project involved coding the front-end, creating a data migration strategy for their product information and photos, building custom extensions and making various customizations to the interface and code. Customizations included building detailed shipping rules to accommodate the variety of different shipping weights across product lines. The checkout sequence was also customized to minimize friction during checkout to convert visitors into customers.